Most of us have to use traditional methods to decorate cupcakes. If you want your cupcake to look like Darth Vader, you’re going to need a lot of icing and copious amounts of food coloring. Jedi don’t have to struggle to decorate cupcakes – they can just use the force to get the job done. 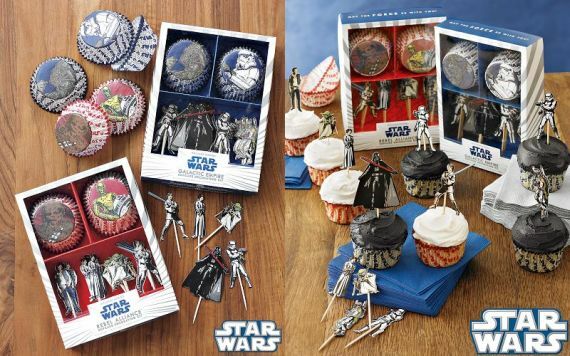 Unfortunately there isn’t a product out there that can give you force powers, but the Star Wars Cupcake Decorating Kit will help you to make some great looking cupcakes in a classical favorite theme.